Sharjah, 10 October, 2018: Running from October 31st to November 10th, 2018, the 37th edition of Sharjah International Book Fair (SIBF) will offer a blend of cultural, educational and entertainment activities. The fair will curate 934 children’s activities, with 44 guests from 12 countries, namely; the UAE, Japan, Belarus, Ukraine, Kuwait, UK, Jordan, Syria, Italy, Australia, Singapore, and Lebanon. The audience will enjoy a selection of children’s theatrical performances, plays, and shows that are inspired by fairytales and classics that appeals to all. The event will also curate a series of workshops and engaging sessions conducted by a host of artists and designers. Children’s plays include ‘Little Red Riding Hood’ and the ‘King of Lions’ which is inspired by Disney’s film of the same title. 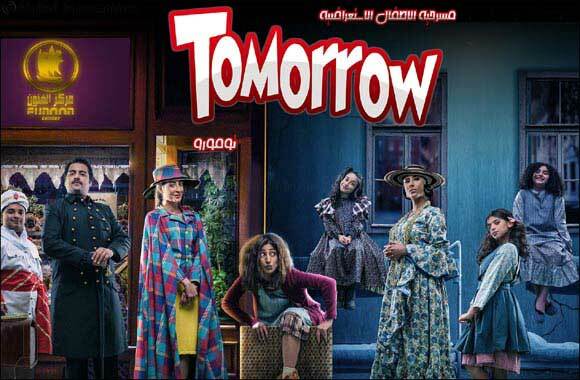 An adventure-packed play and one of the most important works of American Broadway Theatre titled, ‘Tomorrow’ will also be performed. The mesmerizing culture of Japan can be experienced firsthand at SIBF with a ninja experience facility, Ninja_Do. The audience will also enjoy the ‘Amazing Lights’ show that blends the techniques of performing arts with acting talents, and unique customs with modern technology. The audience will enjoy the ‘3D e-Nova’ show, a virtual experience in creative designing by 3D printers. It blends book and technology and builds a community of innovative minds. In a workshop titled ‘Live Cartoons’, children will learn how to draw vibrant cartoon characters, while at the ‘3D Drawing’ workshop, they will explore new inventions that make our lives easier. The kids will learn how to draw and paint flowers with water colours at a workshop titled ‘Bubble Painting’. They will learn how to make exquisite handmade mini notebook with Japanese miniature book artist, Miyako Akai. She has a Ph.D. from Toyohashi University of Technology and is a three-time winner of the Miniature Book Society (MBS) Award 2006, 2007 and 2016. MBS Award is an international competition held annually in the USA, for books that meet the MBS definition of a miniature book, i.e., the dimension must not exceed three inches (76.2 mm). Miyako Akai wrote three books on creating miniature handmade book-binding. The youngsters will also learn how to draw animals with Japanese graphic designer and illustrator, Tomoko Inaba. Working with many magazines, books, advertisements, package designs, and shop window decorations, she was a winner of Bologna Children’s Book Fair’s illustration competition. Duo Nadia Antonillo and Paulo Gezli will participate in children’s activities as well. They took part in many international events, such as the Sound Design Festival in Hamamatsu, Japan; the Italian Cultural Institute of Athens (Instituto Italiano di Cultura); Galerie Tanit as well as Belle Centre in Beirut, Lebanon; Art Bahrain Across Borders (ArtBAB); Usina del Arte in Buenos Aires, Argentine, and National Gallery of Bologna (Pinacoteca Nazionale di Bologna) in Italy. The 37th edition of SIBF features a fully integrated cultural programme that includes an array of literary and intellectual seminars, discussion panels, reading sessions, poetry evenings, and book signing ceremonies.